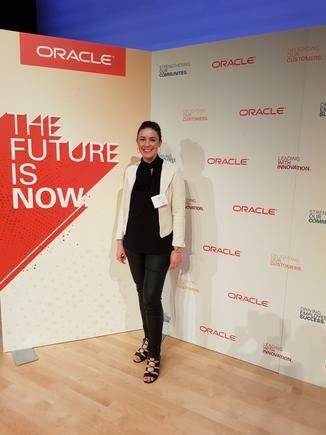 For the women who have established successful careers in tech, the lack of potential mentors means they are bombarded with requests by hopeful mentees – requests which they are often unable to fulfil simply due to time constraints, writes Eva Sherwood of Oracle New Zealand. As one of the relatively few women working in tech in New Zealand, I’ve found the number of females able to act as mentors to other women coming up in the industry is very low. Not only is this a great shame, but it creates a concerning cycle: women don’t have role models to guide them through the early stages of their careers, they aren’t encouraged to put themselves forward for recognition, and they don’t excel in the way they otherwise might have, meaning there are once again fewer women in a position to help the next generation. For the women who have established successful careers in tech, the lack of potential mentors means they are bombarded with requests by hopeful mentees – requests which they are often unable to fulfil simply due to time constraints. 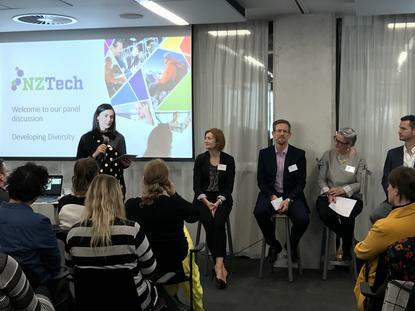 Despite the New Zealand tech industry’s strong growth, higher-than-average salaries and promise of good career opportunities, women represent less than a quarter (23 per cent) of technology professionals. Even more concerning is that only 3 per cent of 15-year-old New Zealand girls consider a career in computing professions. According to Grant Thornton’s 2017 ‘Women in Business: New perspectives on risk and reward’ report, only 20 per cent of senior roles are held by women in New Zealand in 2017 – which is up 1 per cent on the last two years but still down 11 per cent from where we were in 2004. These stats illustrate the importance of representation. It’s human nature to admire and relate to people who are like us. When there’s no one like us in a certain sector, it’s hard to see ourselves taking up a role in that space. We need to try and get more women in the boardroom of tech companies to get that ball rolling. In New Zealand, females are underrepresented in business and entrepreneurial award categories despite there being many successful female business leaders. As women, many of us are taught from a young age to be modest and not make too much of a fuss over our achievements. This carries through to our professional lives – it’s hard for women to say they’ve done a good job. Moreover, we see fewer women putting themselves forward for awards. I see this first hand at the awards ceremonies I attend. Sadly, this reluctance to apply for commendation is often coupled with hesitation to ask for a promotion or a pay rise as well. When there’s no one like us in a certain sector, it’s hard to see ourselves taking up a role in that space. We need to try and get more women in the boardroom of tech companies to get that ball rolling. Personally, I’m tired of being the only woman in the room. The journey to building a solid skill set –and having confidence in that skill set – should be easier for the next generation of women taking up roles in tech. In an attempt to help move the industry forward, I sit on the board of NZTech and chair the NZTech Women sub-group. 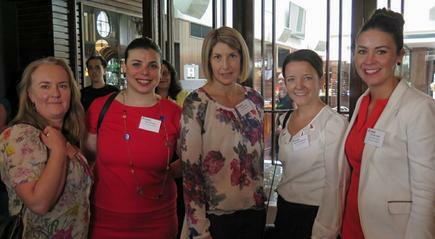 I’m involved in a new initiative pairing younger women with senior mentors, called the Mentoring Circle programme. This programme will bring together six mentees and two mentors, who will meet once a month over a four-month period. The goal of the programme is to provide a framework to foster mentor-mentee relationships in a way that makes the commitment as easy as possible. All participants will know upfront when, where and how much time each meeting will require, taking out much of the logistical stress that being a mentor can create. We hope mentees will also benefit from meeting peers as well as a mentors, giving them the chance to receive feedback and advice from people with diverse points of view and a variety of insights. There is still a long way to go before we achieve a truly diverse and inclusive tech sector. This is just one step on that journey, but we hope that it is one that can really make a difference and lighten the load for the next generation of women in tech. Eva Sherwood is public sector account executive at Oracle New Zealand and is on the board of NZTech where she chairs TechWomen. The quotable quota of women in technology: What is preventing women from joining the tech industry?